NOTE: Mary is a friend of mine and an Episcopal priest for the Church of the Common Ground, a homeless ministry in Atlanta as part of the Ecclesia Street Church program. Here is her interview with the Atlanta Journal Constitution about their program. On Christmas Eve 2006, a group of people, most of them homeless, gathered at downtown Atlanta’s Woodruff Park and formed the Church of the Common Ground. Eight years later, while many congregants have come and gone, the church continues to go strong. In addition to the weekly Sunday service, there is morning prayer twice a week. Once a week, there’s a Bible study and a nonmedical foot clinic where congregants can get their feet washed and tell their stories. Under the auspices of the Episcopal Diocese of Atlanta, the Church of the Common Ground isn’t about fixing or converting people, says the Rev. Mary Wetzel, who has served as the church’s vicar for four years. The church is about celebrating the people of God on their own terms. The Rev. 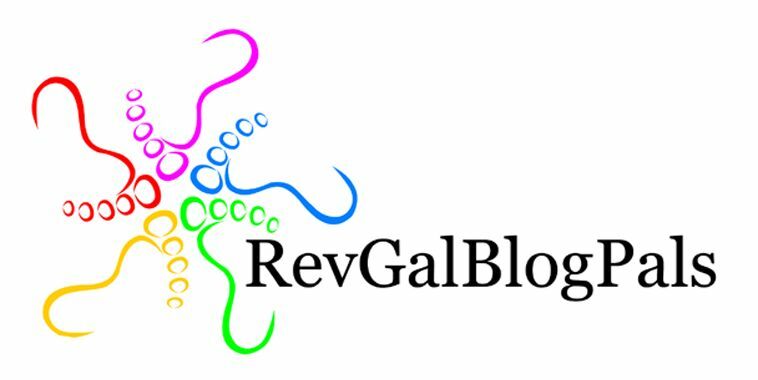 Mary Wetzel, vicar of the Church of the Common Ground, washes feet and listens to stories of people attending the church’s non-medical foot clinic. The church, which holds its gatherings in parks in downtown Atlanta, was founded in 2006 to serve people who are homeless. Q: Why have church outside? A: Some folks, for whatever reason, do not feel comfortable going inside. And they feel a little more comfortable coming just as they are. Our church provides another option. We have a van. I call it our mobile sacristy. We keep the altar and all we need for the services in it. Q: Who comes to the Church of the Common Ground? Parishioners of the Church of the Common Ground, many of whom are homeless, attend Sunday service in Downtown Atlanta’s Woodruff Park. From left to right are Eddie Conley, the Rev. Mary Wetzel, Eddie Holmes and Vivian Medina. A: A variety of people. There are those who live in the area. Some folks who live in regular houses want to come worship with us. A number of the folks have gotten jobs, or moved into housing. We encourage folks to get involved in a church where they are living. Some will come to a church in the morning and then come to our church in the afternoon. They feel that it is their church. Q: And why do you think they come? A: I think folks come for community. There is a good core group of people that care for each other, and pray for each other. It is the relationships that draw them. Gregory Mitchell listens to the Rev. Mary Wetzel, vicar of the Church of the Common Ground. The church, which meets in city parks, was founded in 2006 and many of its parishioners are homeless. Q: What about the Church of the Common Ground appeals to you? A: It really is a place where we can have such different theological beliefs and still come to God’s table. I can see the gifts that God has given the folks who come and how they use those gifts in the world. When I see how they are helping each other, that encourages me so much. And being outdoors, I feel God’s presence. Q: Are the folks who come religious? A: Very. Most know their Bible inside and out. They are very aware of God in their life. The first thing many think about when they wake up is, “Thank you Lord for waking me up today.” That hits me in my soul. Q: So they aren’t angry at their station in life? A: I wouldn’t go that far. You get angry when you know that people look down on you. Or you get caught up in a system that is so hard to get out of. But most are aware of the presence of God. Q: Do you think your message would be different if you were preaching to an affluent congregation? A: My message would be the same. There’s as much addiction and mental health problems in traditional parishes. Q: And what is that message? A: We are all God’s beloved. Since we are all made in God’s image, we need to learn the respect and dignity of very human being. To A Bunch of Grungy Shepherds????? (Note: we celebrated the visit from the wise men last week because we distributed sacks of linens, necessities, socks and underwear provided by members of the In The Garden team and members of community). We have been a little out of sequence telling the Nativity story, but this week we finish the story with the first people who were told about and saw the Christ Child. this Messiah from God, are shepherds. By the first century the status of being a “shepherd” had definitely sunk low. Being a shepherd had become categorized as in the same class as being a tax collector, or an unclean outcast. Shepherds were considered to be borderline “unclean,” defined as unlawful and untrustworthy. They were either despised or mistrusted by all those who had “risen above” to become city dwellers. Shepherds lived on the land with their sheep, infrequently or never took baths, smelled like sheep. Their job was to watch out for and herd sheep from one place to another. Now, we all coo and ah at a picture of a little lamb. But sheep, as a whole,are really dumb animals. If not tended, they will all follow the leader off a cliff to their death. So shepherds didn’t need to be very bright – all they had to do was keep the sheep from getting into trouble or eaten by other animals. Not the brightest members of the community. So maybe it was not unusual that the news of his birth was told first to shepherds. Imagine the shepherds settling in for the night, putting the sheep to sleep and resting from a long day of herding. Maybe they were eating their meager rations before going to sleep themselves. They had seen the star that was brighter than all others, but probably didn’t think anything of it. What did the shepherds understand that night? So some of the shepherds went into Bethlehem to the stable to be the first visitors for the Christ Child, a Messiah born to redeem all humanity. So today we have completed the nativity story and all the members of the people at the birth of Jesus has been completed. We are told in Matthew 2:1-12 that three kings who came from the East, following a star to bring gifts to the Christ Child . Who were these guys that they would travel so far and for what? 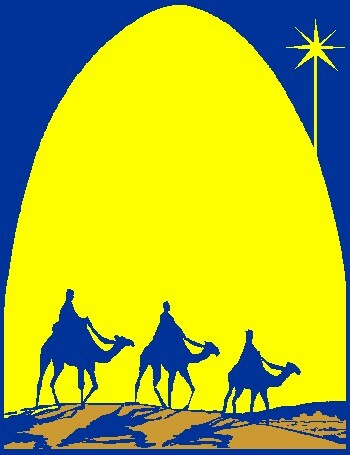 We have all sung We Three Kings of Orient Are, singing about the their journey. These men were probably astrologists, or ‘magi’ – the word used in that time for people who could read the skies. In Matthew, the Magi come to a house in Bethlehem, rather than the stable of the birth story. The three gifts were gold, frankincense, and myrrh. Gaspar (or Caspar), who has brown hair and a brown beard (or no beard!) and wears a green cloak and a gold crown with green jewels on it. He is the King of Sheba. Gaspar represents the Frankincense brought to Jesus, signifying that people would worship this child. Melchior, who has long white hair and a white beard and wears a gold cloak. He is the King of Arabia. Melchior represents the Gold brought to Jesus, meaning He would be the King Of Kings. Balthazar, who has black skin and a black beard (or no beard!) and wears a purple cloak. He is the King of Tarse and Egypt. Balthazar represents the gift of Myrrh ; it is interesting that one of the first gifts to the Baby Jesus would be myrrh, the same spice that would be used by Mary Magdalene and other women to anoint his body after the crucifixion. They made this long and arduous pilgrimage to bring gifts a small child born, who they recognized as the Messiah. This was the beginning of that small child’s life that would eventually end in death and resurrection and redemption of all people. And just as the wise men brought gifts to the Christ Child, so have those who support In The Garden and its community, brought gifts for each of you. Gifts of our love and acknowledgement that we are children of God and brothers and sisters of Jesus. When you are through with your meal, please dump your plates in the trash cans to my right, then make your way to the Step Room. There you will be given a gift sack of lots of things that will make your holiday a little brighter. Then as you leave, you will receive your dessert and you can select a blanket donated by the Toll Gate Middle School in Pickerington. Our prayer is that each of you have a Merry Christmas and blessed Christmastide. This is the second Sunday of our Advent celebration; last week we put up the stable in anticipation of the arrival of the Christ child. This week we begin the preparation for His arrival. The star is already over the stable, shining bright. It will guide the shepherds and wise men to the stable. Now we need to add Mary and Joseph. They were a very strange couple; Joseph and Mary. They had been betrothed – promised to each other. That was the custom of the day, two families signed a formal contract which was as binding as marriage itself. Betrothal then was more of a business transaction between two families than a personal, romantic choice. The girl moved in to her betrothed mother’s house to learn cook and clean and take care of her future husband for about one year. But there was to be no sexual relations. Now, all the sudden she is pregnant. Joseph knows it is not his child. What is he to do? Joseph was a very devout man, following all the laws and rules of the Jewish faith. If he went ahead and married her, that would be against Hebrew law, suggesting that they had not observed the law. And if the betrothed was unfaithful (since it looked like Mary was), he would be forced to divorce her, leaving her a ‘fallen’ woman, someone who committed adultery – which could be punishable by stoning to death. The answer came when an angel visited him in a dream, assuring him the he had been chosen to raise the Son of God. Joseph was probably overwhelmed by what he had been told. ‘Raise the Son of God’? What an daunting task. But he willingly accepted this responsibility, ignoring the violation of Hebrew laws and customs. He had been given a mission – a mission that would change the world forever. Just like we have a census every ten years here in the United States, the Romans counted the people in Israel in the same thing. Every household was to return to the home of the man of the household to be counted. So Mary and Joseph set off, heading to Bethlehem of Judea, since Joseph was of the House Of David. The trip was difficult; the roads were rutted dirt, with potholes. Lots and lots of people were traveling to the same place, jockeying for the smoothest part of the road and the best accommodations. There were no telephones, so Joseph couldn’t call Bethlehem and book a room in an inn for them. And since Mary was pregnant, they had to take it slow so she would be as comfortable as possible. When they got to Bethlehem, I imagine Joseph guided the donkey with Mary on it all around the town, seeking a room in all the inns. But all the rooms in all the inns were taken. Here they were, in a strange town, with Mary about to give birth, without a place to rest. Finally, one innkeeper, taking pity on them, offered them a stable. . . a smelly, noisy unprotected stable. Not the best kind of a place for someone about to give birth. But that was all there was; so they gladly took it. If you know anything about stables, they are drafty and dirty places. There are stacks of hay for feeding the animals, a trough where the grain was put, and stalls for the animals, lot of manure; a very crude place. But this is where Mary and Joseph ended up. . . among the sheep and cows and other animals. This is where they made the best of it and waited for the arrival of the baby. Waited for the coming of the Christ Child. We are in the Advent Sunday of preparation. . . the couple and the stable are ready for the coming of Jesus. This week we are not going to add additional characters to the crèche, but talk about what the Christmas story really means – to us and to the world. The story of Christmas begins, not with the manger of Bethlehem, but many thousands, perhaps millions of years before, in the mind and heart of God. a beautiful garden world with birds singing and flowers blooming, mountain streams flowing and mighty oceans glistening under a bright golden sun. In the midst of that garden, God placed a man and a woman His highest creation with every good thing to sustain life. Our story then moves to a stable in Bethlehem of Judea; a place of one of the deepest human mysteries. Is this not the true meaning of Christmas? Out of the loneliness of God a world was born. Out of the love of God a Savior was born. God came to earth just as we all do – as a baby! If people want to know what God looks like, all they have to do is look at one another. They will come to know what God is like through knowing God’s people. People don’t experience God’s love by reading about it in a book or by being threatened with guilt or frightened by the idea of hell; they experience love through the loving relationship with other human beings. It is also important to know that the Christmas story does not end at the stable of Bethlehem either. The Christmas story is God’s love being felt and seen in human lives daily. For God had a son who lived among us full of grace and truth. The Word of God became flesh in Jesus Christ! Christmas is an acknowledgement that the story will not end until we regard every person on earth as of equal worth as ourselves as our brothers and sisters, for we are all part of the family of God. •	the star of a loving God who created us to love one another and as we are loved. Are We Wandering In The Darkness? And How Do We Get Out? We gather on this the second Sunday of Advent with joyful expectations of another Christmas season with the sacred and secular traditions that Christmas brings. We can see the excitement in the faces of children who patiently wait for Christmas Day. It’s harder for them to concentrate on their school work when their heads are filled with visions of gifts, goodies and surprises, and “sugar plums.” Something wonderful is about to take place and we are going to be a part of it. It is exciting, not only for the children for us also. It often means family fun, feasting, and a beautiful time of wonder and miracles. Now we have to understand a custom of the day to appreciate what this preparation of the way of the Lord really means. In ancient times, before a King visited any part of his realm, there was a messenger that was sent before him to prepare the way – to announce the King was coming. According to Mark, the people would have understood that John The Baptist was living in the wilderness like an Old Testament prophet; he wanted to prepare the hearts of the men and women of Israel for the new king. John The Baptist, upon whom we focus today, is a very important figure in biblical history and message – one of the very few persons mentioned in all of the gospels. Other historical writings of the period speak about him as well. We know specifically that John The Baptist was a real person; and we know enough about his life to confirm that the biblical accounts in the four gospels, even if a mystical expansion of history, are rooted in fact. Yet in every case, Crossan reminds us, Jesus is described as greater than John, and having primacy over him. It is logical for us to infer then, that to the biblical writers and historians, John The Baptist was an important historical figure, integral to explaining the story of Jesus. Announcing to all that the King was coming. By the time he baptized Jesus, hordes of people had come into the wilderness to listen to this bizarre and powerful preacher and most of them had been baptized by him, as a sign of repentance. John The Baptist proclaimed that someone was coming, someone so spectacular that it was not enough simply to just wait for him to arrive. He called upon the people to be honest with themselves, to step back from their daily routines and prepare their hearts to receive the one whom God was sending, who would redeem them from their sin, and offer them new life. He challenged them to repent, and embrace the Son of God. John The Baptist was the witness, the one to tell all of the coming Messiah. Even in the gospel of John, where no baptism of Jesus takes place, there is John The Baptist, wandering in the wilderness, announcing and witnessing to the greatness and power of Jesus. John was unique that he was the first to understand who Jesus was and what he had come to do. Indeed there are many amazing and wonderful things about this season of Advent and Christmas that we now enter. 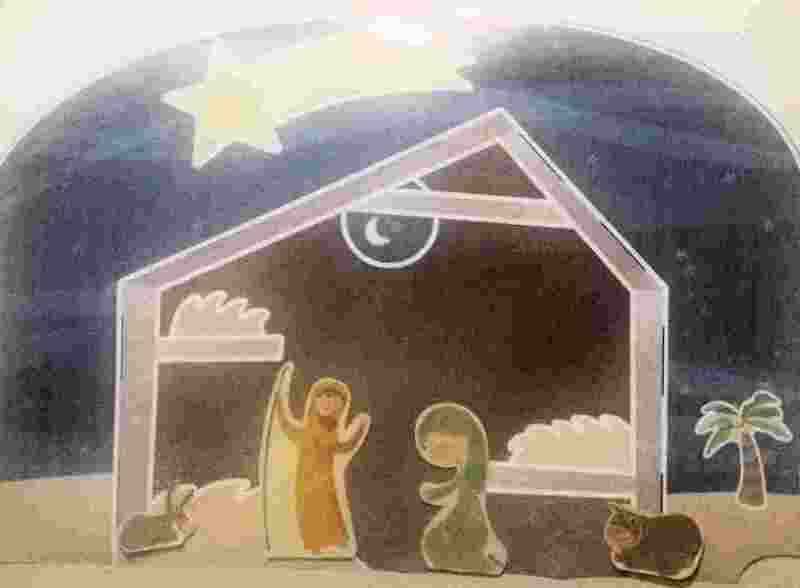 There may be many things about the biblical account of Jesus’ birth that we have come to realize are unsubstantiated in facts, or probably in truth: the nativity story has morphed and mingled so much over the years with fairy tales and traditions that it is difficult, at times, to make sense of it at all. Christmas has become a time for feasting and family, parties and friends, gift giving and child-like magic, Santa Claus and Saint Nicks, switches and ashes, angels and wise men, decorated trees and caroling choirs. Like most of human life, it is a great mix of the sacred and profane, timeless and tawdry. So what can we find at the core of it all? I would like to give you another slightly different view: that in a very real way, we all are or we all can be John The Baptist. All births are miraculous; you only have to see a newborn infant to know that. We were all born of man, as our beloved Jesus and John were. It is likely that people rejoiced at our births, that we were presented in our own temples or public places for blessing and anointing, and most of us, like John and at times like Jesus, wander in the wilderness of this earthly life. We sometimes wander in the wilderness when we lose sight of the what is right and good in the world. The recent murders of unarmed black boys and men cause us all to ponder what is wrong with the overt assault aimed at a class and ethnic group in this country that is supposed to be a nation, a country for all people. We often get mired in the darkness of refusing to notice and care for the ‘least of these’ that appear on our streets in the presence of starving children, the homeless and the mentally ill.
We wander in darkness as we decimate and desecrate our planet in the name of money and wealth. We live in a dark spot when we sanction the murder of God’s people through executions and war. Along with John The Baptist. – teachings the life lessons of Jesus of Nazareth, which, if followed, will give us joy, peace, faith and assurance that this wilderness life we lead is not all there is. . .
not the end, but a simple phase of our eternal life with God. We can bear witness that there is one greater than we, who can make the sick well, the wounded whole, the blind to see. One who can bring us, with the Holy Spirit, through the wilderness to the Jordan River and beyond. So perhaps, amidst our gift wrapping and candy making, our franticness and urgency, this Advent let us now and forever bear witness to all. . .
– let us now bear witness to the one who calls us out of the wilderness to a life of love, forgiveness, love, joy and grace. And for that, my friends, we should all celebrate, not only this Advent and Christmas, but throughout the year. Dear Lord, thank you for the season of Advent with its expectation of birth of the Christ Child, that we may have life eternal. Give us now a sense of your presence Lord and enable us to open our hearts and minds to you. We seek to put aside our busy rushing, and to sense that awe and wonder which comes from an awareness that we are in your presence. Grant us the courage of John The Baptist, constantly to speak the truth remembering that we are called to be the voice ‘crying in the wilderness’ to the world, just as John The Baptist. Amen.